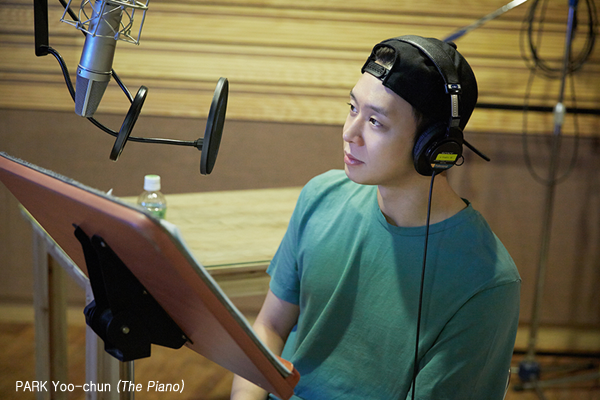 Young star PARK Yoo-chun, a member of the popular boy band JYJ, lent his voice to the upcoming documentary The Piano, the tale of a young blind pianist, before beginning his mandatory military service. Born without eyes and abandoned by her parents as a result, Ye-eun was raised in a social welfare facility and was discovered to be a piano prodigy at age three. The Piano follows her desire to win a piano competition, despite her disabilities, and the help she received to achieve that goal. PARK, who waived his normal fee for the project, was first seen on the big screen last year in SHIM Sung-bo’s Haemoo, for which he received strong notices. He will next appear alongside SUL Kyung-gu and KO Soo in the upcoming thriller Lucid Dream. Produced by local broadcaster MBC, The Piano is the second feature from director LIM Seong-gu, following a KBS documentary Chair of Beopjeong, about the Venerable Beobjeong who was a leader of Korean Buddhism, in 2012. The Piano premiered recently at the Jecheon International Music & Film Festival (JIMFF) and will go on theatrical release in Korea next month.